We react fast to all situations that require water damage restoration services, responding in 45 minutes or less so if you’re having an issue then call our water damage Charlotte crew with 911 Restoration Charlotte right away. 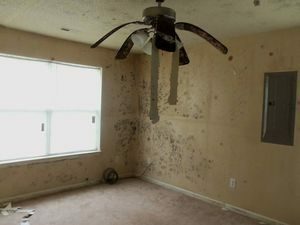 When it comes to water restoration, mold remediation or any other disaster restoration service, 911 Restoration Charlotte is the best water damage company in Gastonia and our water damage Gastonia technicians prove it. We do this by providing the fastest and most professional service in the business backed by the most experience, 35 years to be exact. We’re available 24/7/365 to take your call and will even give you a free inspection. Don’t let any of these problems escalate to mold growth. Call our water damage Gastonia team for same-day service so we can rush over to your home or business with the most advanced water and moisture removal equipment in the business. We can clean up your flooded basement fast so for a fresh start when you experience water damage, call our water damage Gastonia team today! Our water damage Gastonia professionals know from decades of experience that a flooded basement can occur as a result of many different sudden emergencies, including a water heater leak, a pipe burst or a rain storm backing up drains, but no matter where it originates from it is important to turn the main water line to your home off just to be safe. A flooded basement is no joke and our water damage Gastonia experts know this. 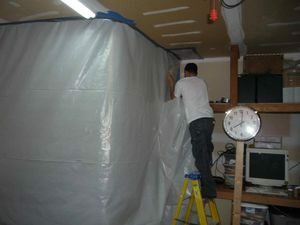 That’s why we’ll bring only the best and most advanced moisture extraction and drying technology in the industry to ensure that all signs of water damage and all traces of mold are gone. Gastonia, North Carolina is a popular area of the country to live that is within commuting distance of Charlotte. Unfortunately, the rainfall in the region can often be unpredictable and taxing on the area’s flat landscape. During winter months, standing water several feet deep is a common on sight some roads. As water levels rise, homes in the area become in danger of flooding. If your basement or crawl space fills with rainwater, call our water damage Gastonia team right away so we can remove the excess water fast and then file your insurance claim for you! A solid homeowner’s insurance plan will cover many of the more common water emergencies that homeowners in the Gastonia area face, but our water damage Gastonia specialists also recommend regularly reviewing your insurance policies and options and also performing regular preventive maintenance. Regular inspection and maintenance of drainage and plumbing systems by our water damage Gastonia experts can often prevent water damage in the first place, or at least get your claim covered in the event of an unexpected emergency. Call us today and we’ll inspect your home or business to ensure that proper downspouts, gutters and other drainage are installed and working properly. Having regular inspections increases the chances of your insurance policy covering your expenses during an emergency because many incidents are only covered if recent maintenance has been performed. We know from experience that homes in beautiful Gastonia, North Carolina are more vulnerable to water damage due to all the rainfall in the city. Heavy rain doesn’t stop in this part of the country and at 911 Restoration, neither do we. Our water damage Gastonia team always puts the customer and their home first so give us a call the next time disaster strikes your residence so we can show you why we’re the best! Additionally, according to the Insurance Information Institute, having supplemental flood insurance in areas that are more prone to precipitation is also a great way to ensure full coverage. 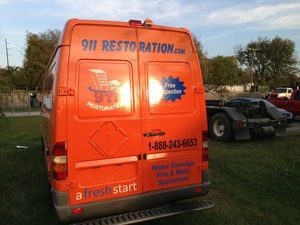 Give our water damage Gastonia specialists with 911 Restoration Charlotte a call so we can help you get the most coverage possible while providing you with the best prices in the business because we’re the best there is today!